A sweet lady pointed out to me on Friday that posting verses one at a time — without context — may indeed do exactly what this verse suggests, cause a fellow believer to stumble by allowing them to get something out a verse that would be different if read in context to the whole scripture. I wrestled with that a bit and prayed about it, but honestly felt no guilt about my plans to post Verse of the Day’s. In fact, I really felt it was something God was calling me to do, and to stop doing so out of fear would be exactly what I’m NOT supposed to do. I’m reminded today of when Jesus was in the desert and tempted by Satan. Even Satan used Scripture to try and trip up the Son of God. Matthew 4 tells the story. I encourage you to go read it! Satan’s goal was evil though. He was grabbing a scripture and twisting it for his own purposes to fit his own ideals. To encourage other women like me, wives, moms, sisters, daughters, to dive into God’s word and seek what God has to tell us. I have no evil intent in posting. In fact, my hope is that a verse will intrigue you and, even if you aren’t in a daily habit of reading your Bible, encourage you to pick it up and dive in and be challenged/encouraging. The word of God is living and breathing, and I truly believe God speaks through it, even one verse at a time. 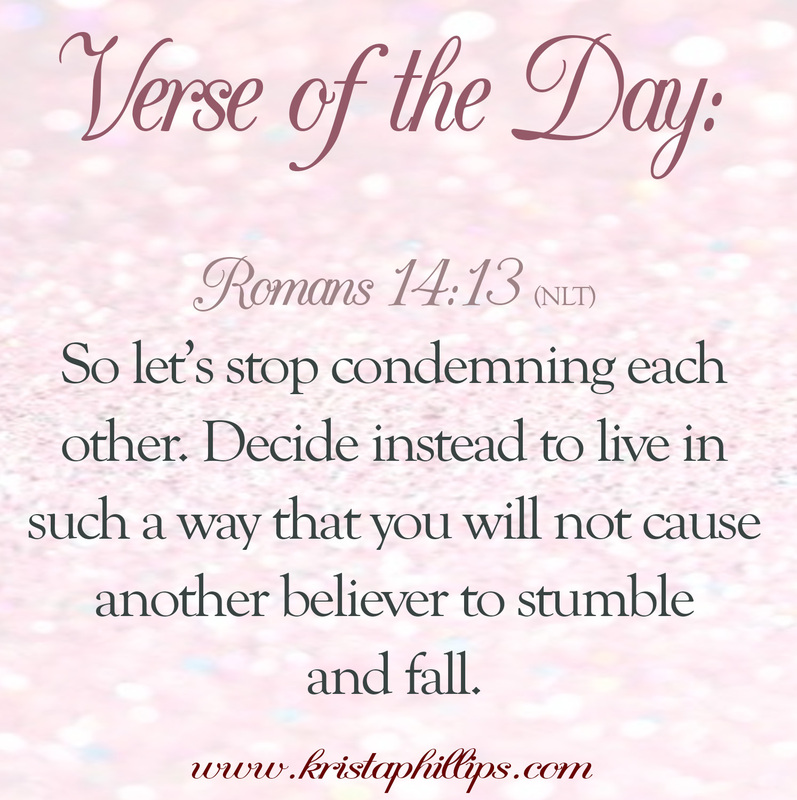 So my prayer is that God will use these verses as a stepping stone, not a stumbling block. And I fully trust Him to do just that. I’m so glad that God can use our meager offerings for HIS glory, AMEN?